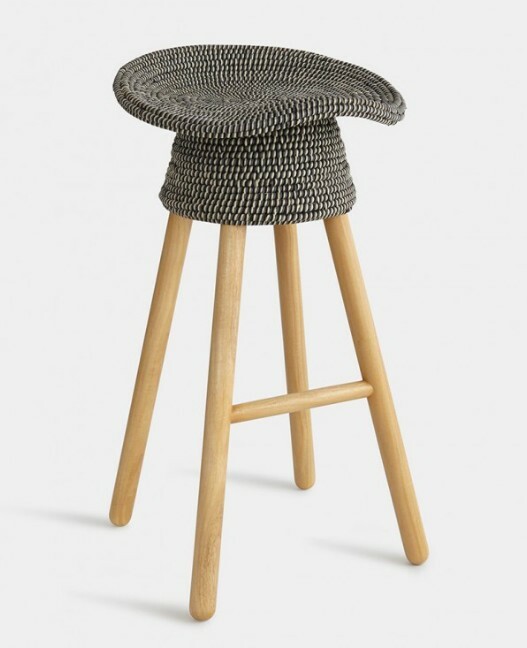 The Coiled Stool was inspired by the traditional basket-making techniques of the Philippines. Hand-woven threads cover a rattan core to create a surprisingly comfortable tractor seat. 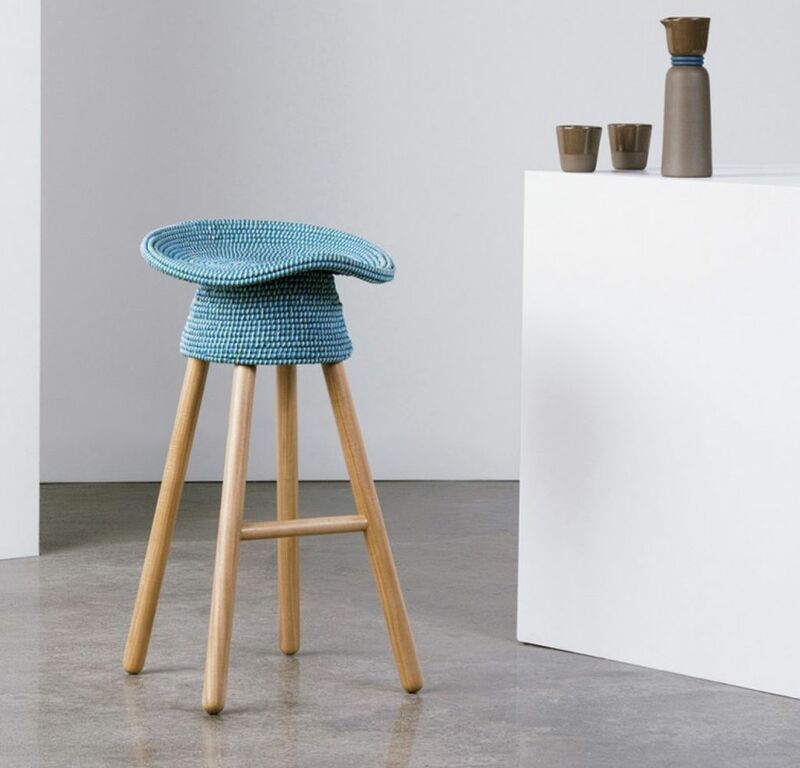 The Coiled Stool fits easily into casual and formal environments.